Product prices and availability are accurate as of 2019-02-22 17:37:32 EST and are subject to change. Any price and availability information displayed on http://www.amazon.com/ at the time of purchase will apply to the purchase of this product. 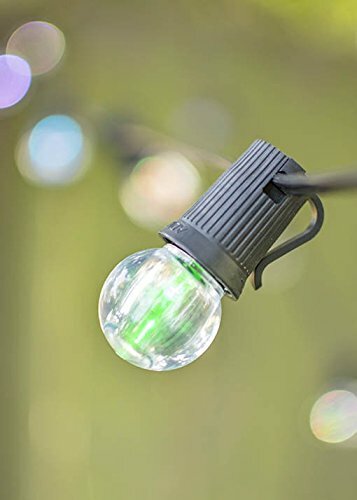 Our color changing LED globe string lights cycle through the colors of red, yellow, blue, green & purple and make great party lighting, or decorative restaurant lights. 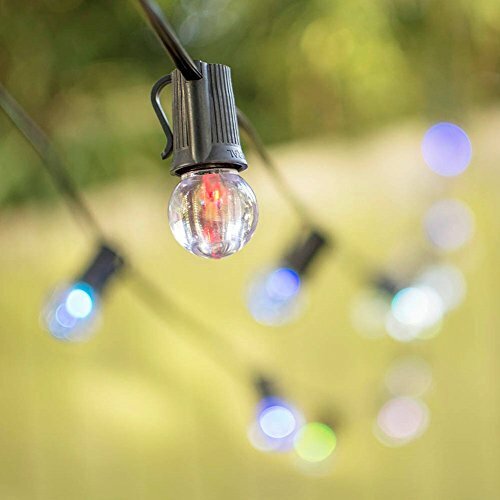 The 100 foot black wire illuminates 100 acrylic 1.25 inch G30 bulbs that are spaced 12 inches apart from one another. Easily hang this C9 strand indoors or outdoors with the clip on the back of each socket. 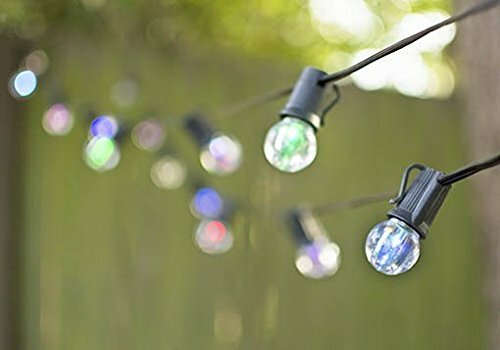 Use our shatter resistant, energy efficient LED string lights for year round illumination outside malls, inside coffee shops or over a boho wedding.